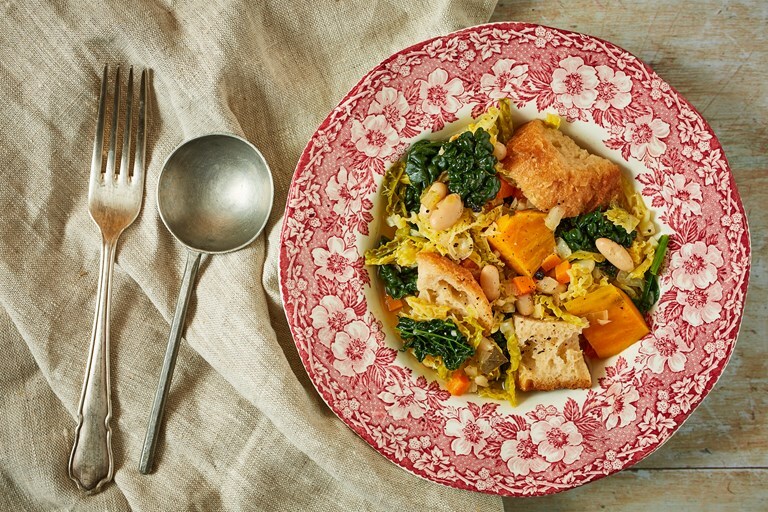 Ribollita is a hugely important staple in Tuscan cuisine – it may look like a simple vegetable soup on the surface, but this dish is more than the sum of its parts. The stale bread is very traditional – as it rehydrates in the soup, it takes on a lovely silky texture. Alfred's version stays fairly true to the original, and makes a fantastic easy weekday lunch or dinner.